Google’s big answer to Apple Pay and Samsung Pay could launch sooner than you might think, if a leaked memo is to be believed. 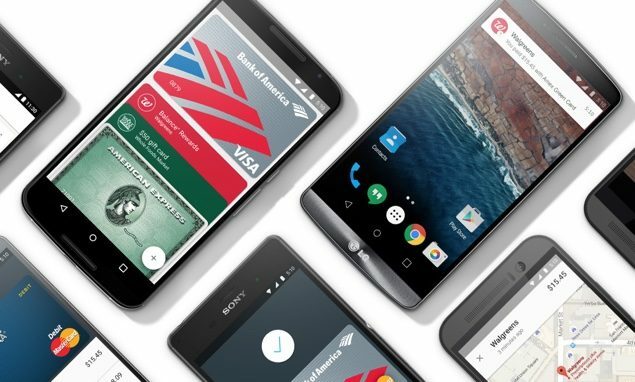 Along with the announcement of Android M – now officially revealed as 6.0 Marshmallow – Google took the wraps off its contactless payment system as well, Android Pay. The service works works pretty much in the same manner as Apple Pay and Samsung Pay, allowing you to make payments on the go, but with all that goodness aside which Google announced, the search behemoth failed to give out a concrete date on which droidsters will be able to use the company’s newfound service. If a leaked memo is to be believed, then all of us can take advantage of Android Pay from 26th of August. 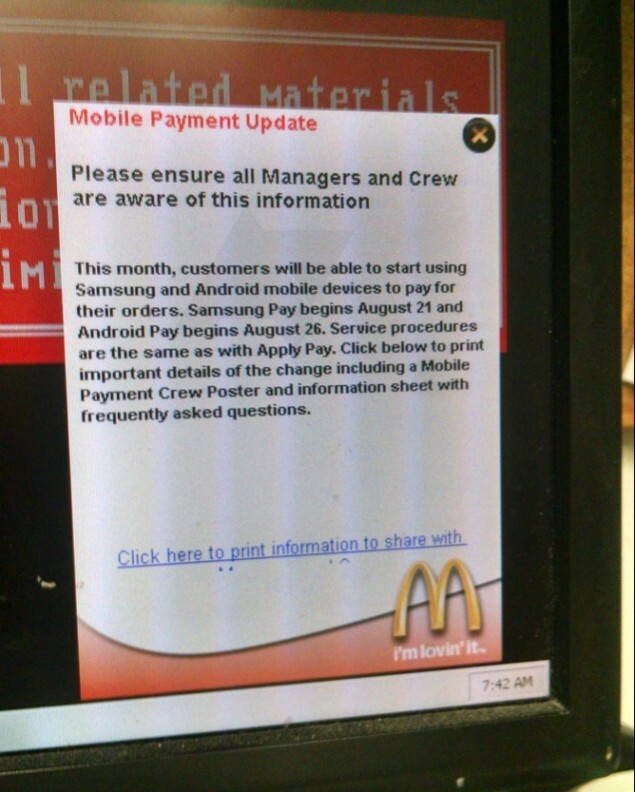 According to a memo being sent out to multiple McDonald’s retail outlets, the company will start to accept Android Pay payments from August 26th. The memo also notes that the procedure for making a purchase using Android Pay is the same as Apple Pay, hence no surprises there. If you’ve been waiting to try out Android Pay in the United States then mark your calendars for the 26th, and also keep in mind that Android Pay is going to be a United States only affair in the start, so international users might want to wait this one out, as usual. Google announced Android Pay at its I/O 2015 conference three months back, and at the time of announcement Google revealed that its newfound payment service will make its debut some time later this year, but if today’s revelation is to be believed then it’s a sure shot sign that Google is expediting things a little from its end, considering how the competition has big plans to take over our wallets. Apple on the other hand, with Apple Pay, has recently expanded its services to the UK, allowing users there to jump onto a bandwagon that is sure shot going to be a future of replacing our wallets. And given the current landscape, with millions of users still relying on their old faithful credit cards, there’s no doubt left that all major players have a long way to go before they get rid of the wallet from our pockets for good. Lastly, given the state of fragmentation on Android, it’s not going to be easy for the big guns to push everyone towards the future, but we’ll see for ourselves how that pans out.